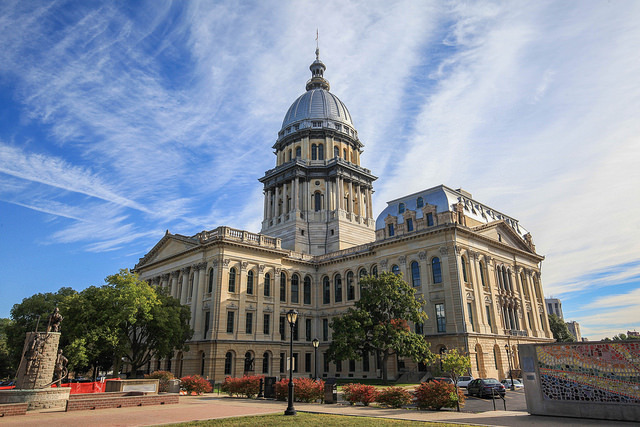 Springfield is the state capitol of Illinois. 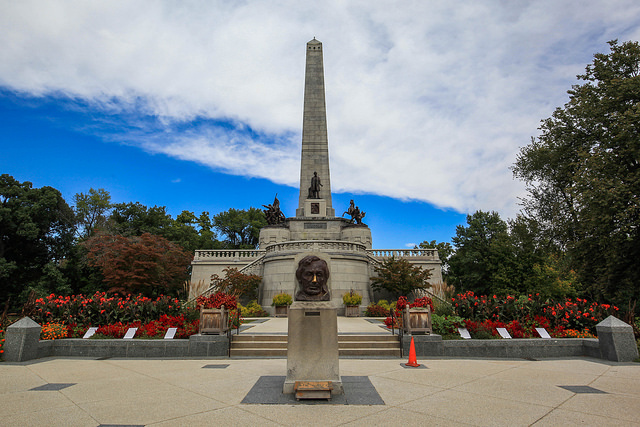 It is best known for being the former home of the 16th president of the United States, Abraham Lincoln. There are many historical sights that commemorate his life within Springfield, including the presidential library and museum. Lincoln is a revered president for leading his nation through a civil war, which led to the abolishment of slavery. He was president from 1861 until 1865 when he was assassinated at the Ford’s Theater in Washington, DC. 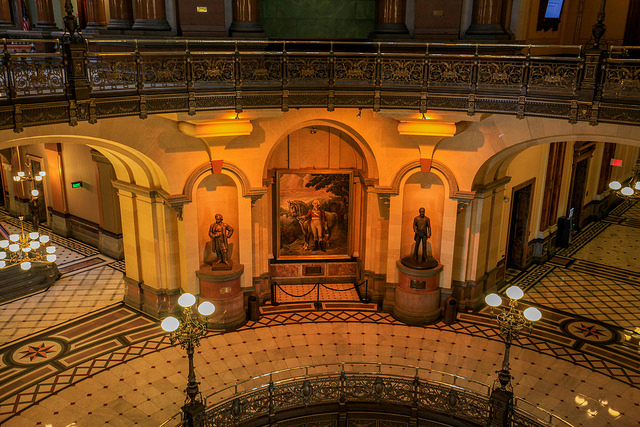 1: Old State Capitol of Illinois was the active seat of government from 1839 until 1876. 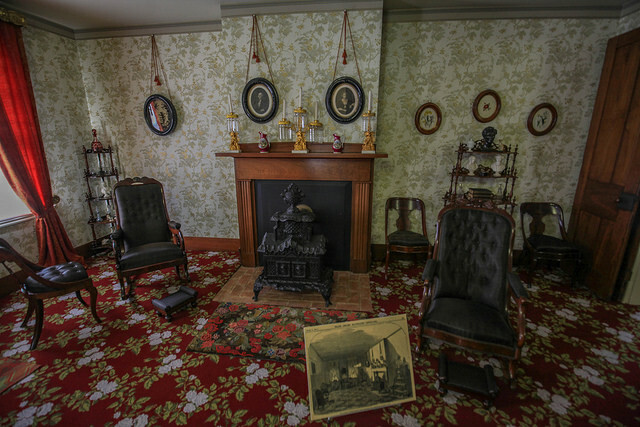 Abraham Lincoln acted as both a lawyer and politician here leading up to his presidency in 1861. Lincoln gave his famous ‘House Divided’ speech here in 1858. It served as the county courthouse until 1961. 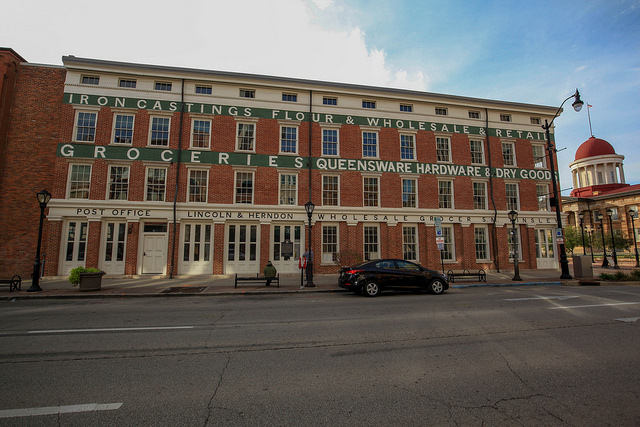 Now it serves as a museum and historic landmark. 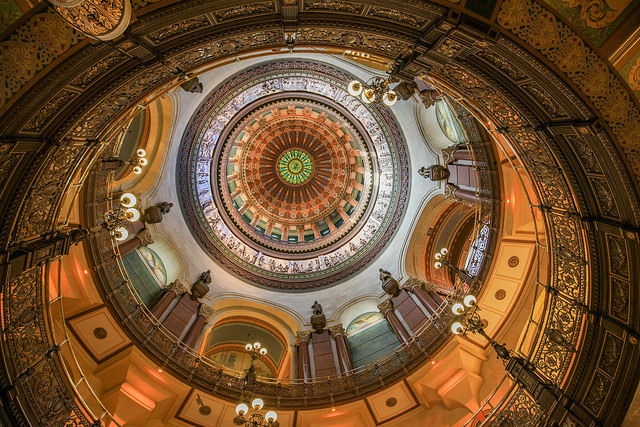 2: The new State Capitol of Illinois located nearby took twenty years to construct. Ground was broken in 1868. It is the tallest domed capitol in the US, even taller than the U.S. Capitol in Washington, D.C.
3: Stained glass on the interior of the dome provides soft lighting to the rotundas on all floors. Lower down, a plaster frieze and bronze statues celebrate heroes and events from the past. 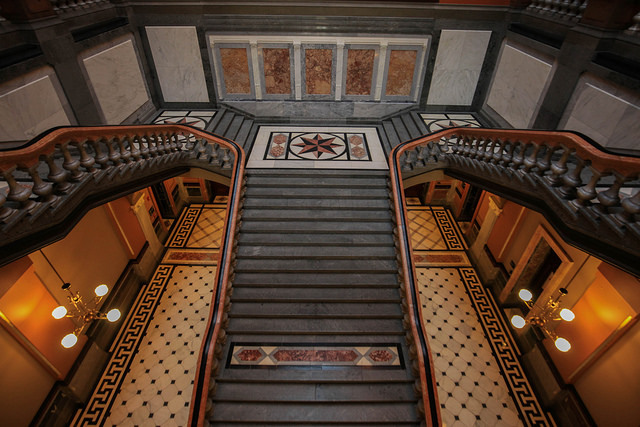 4: The grand staircase decorated in marble. 5: A equestrian painting of George Washington adorns the second floor rotunda. It was donated to the state capitol in the early 1970s. 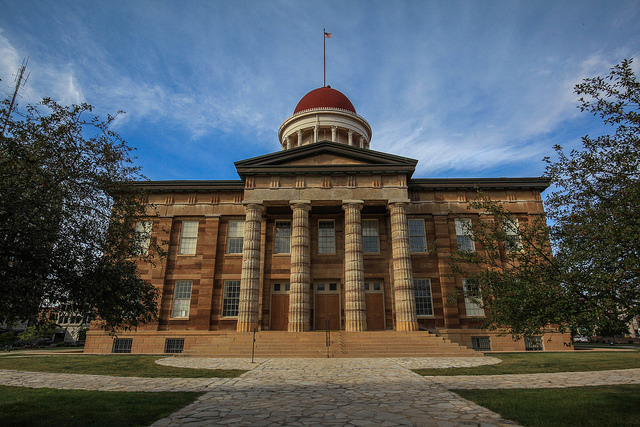 6: The Lincoln-Herndon Law Offices State Historic Site is located near the Old Capitol. Lincoln practiced law here from 1843 until 1852. It is now a visitor center and exhibit gallery. 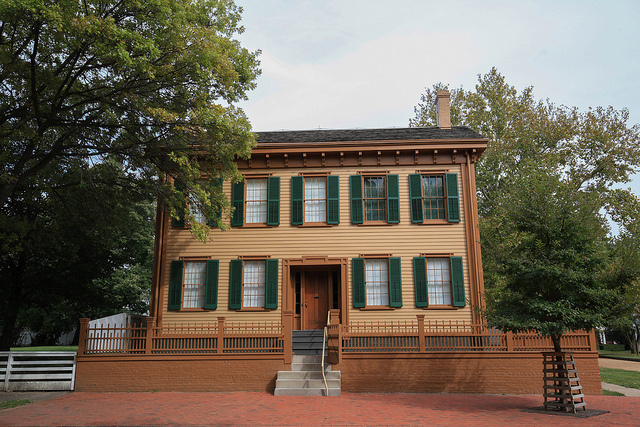 7: The Lincoln Home is located just a few blocks away from his law office. When here, you can almost imagine Lincoln on a morning stroll into work. He lived here from 1844 until 1861 when he assumed the presidency. 8: Old drawings from an illustrated newspaper at the time of his presidential election were used to faithfully recreate how it would have looked in Lincolns day. 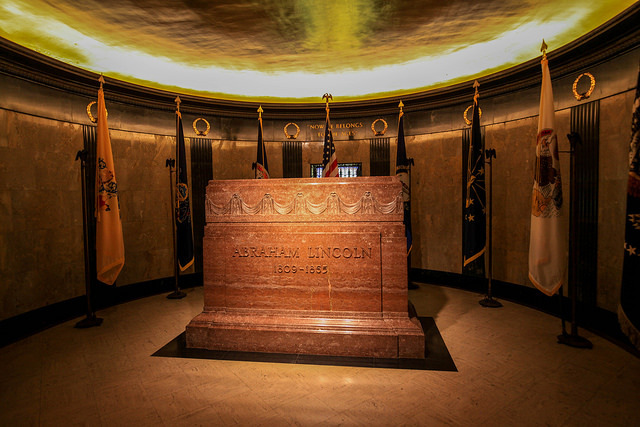 9: Lincoln’s Tomb at Oak Ridge Cemetery. A bronze bust sits outside, it’s nose polished to a bright sheen due to the custom of visitors rubbing it for good luck. He was interred here in when construction was completed in 1874, 9 years after his assassination in 1865. 10: The burial room. Lincoln is actually buried in a vault 3 meters below. Lincoln is buried near his wife, Mary Todd Lincoln, and 3 of their 4 sons. The eldest son, Robert Todd Lincoln, was buried at Arlington National Cemetery to commemorate his service in the Civil War as part of the staff of the famed general and later president Ulysses S. Grant .